Student loan, living expenses – the sums add up while you’re in college. This is the main reason why so many students are looking for majors that will lead to sufficiently high salaries in the future. Combining practicality with your own talents and abilities is more complicated than it seems. Therefore, trends in the job market are constantly monitored and the Center on Education and the Workforce to Georgetown University has recently presented its research featuring the list of top 10 best paid college majors. CNN has also recently published statistics about the college graduates that earn the most and the report contains some quite surprising facts. It’s interesting to point out that the most lucrative majors are by far not the most common. Overall, a relatively small portion of students chooses architecture and engineering sciences (8.3 percent), yet this seems to be the most profitable field of them all. Curious about the college graduates that earn the most? Here are the top 10 highest paying college majors for 2015. This unconventional field in fact scored the top position in the 2015 ranking. Petroleum engineers have a median annual salary of 136,000 dollars. The number goes up to 200,000 dollars if they have obtained a master’s degree or have obtained additional qualifications. The responsibilities of these professionals are connected to the production of crude oil and natural gas. Apparently, the industry is showing no signs of slowing down despite the political and economic tensions in the Middle East. This category encompasses both pharmaceutical sciences and administrative positions. These professionals do not fall too far back from the top spot with median annual earnings of 113,000 dollars. They are the second most likely group to land a profitable job immediately after graduation. Merely 7.5 percent of college graduates, however, have chosen the field. Many of the pharmacy students proceed with their education to get a doctor’s degree. It certainly takes long years and hard work but the salary prospective sure seems to be a good stimulus. This major is yet another profitable member of the engineering sciences department. Apparently, studying the chemical behavior of metallic elements, compounds and alloys can bring you an estimated median annual income of 98,000 dollars upon graduation. The science and technology behind the extraction of minerals is the main field of expertise here. With the world running out of some of its most valuable resources, these specialists are in high demand. Unsurprisingly, the remuneration is quite impressive as well, reaching an average of 97,000 dollars per year. The most common occupations of contemporary chemical engineers are yet again in the field of transforming raw materials into useful substances. Nanotechnology, fuel cell processing and bioengineering are just some of the fields where the science major can find a useful application. Those professionals typically receive a medium annual salary of 96,000 dollars. Electrical engineers nowadays can find employment in businesses or organizations dealing with electronics, computers, telecommunications, radio-frequencies and even microelectronics used in portable devices. They have continuously demonstrated surprisingly high remuneration levels, with averages at approximately 93,000 dollars per year. Aeronautics seems to be one of the largely underestimated sciences across the globe. It didn’t even make it in the top three in terms of best-paid majors, yet it remains the seventh most valued in monetary terms. Research and development of applicable technologies to be implemented in aircraft and spacecraft development require extensive training and profound knowledge in various scientific fields. Aerospace engineers make an average of 90,000 dollars per year. The oldest and one of the broadest engineering fields made it to the eighth spot in the income chart. 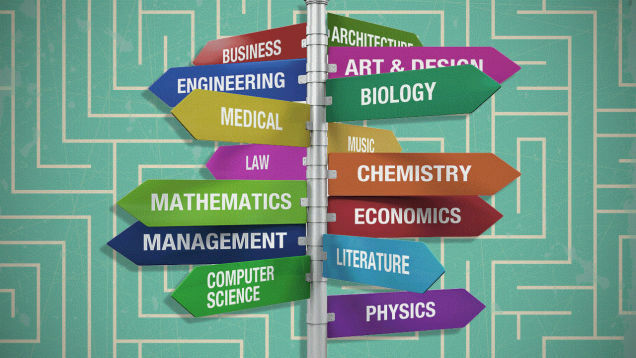 College graduates can choose a specialization in a number of fields – from heating and cooling system development to aircraft, robotics, medical devices and even weaponry. Mechanical engineers earn an average annual income of 87,000 dollars but can reach much higher salaries depending on their expertise and chosen sphere of development. People interested in computer sciences or computer engineering can expect to earn an 87,000 dollars median annual salary upon graduation. Surprisingly enough, the values are the same as those for mechanical and geophysical engineers. With more and more people being interested in the field, the labor market has become more flexible and pays higher remuneration packages only to proven professionals. This is why computer engineering hasn’t made it to the top five of the best paying majors. The knowledge and expertise of these college graduates is used in the process of mitigation of natural hazards, as well as in environmental protection. Additionally, research in the field is implemented in locating petroleum reservoirs, mineral deposits and even ground water. The profession has become more and more valued over the years and today, it brings a median annual salary of 87,000 dollars.